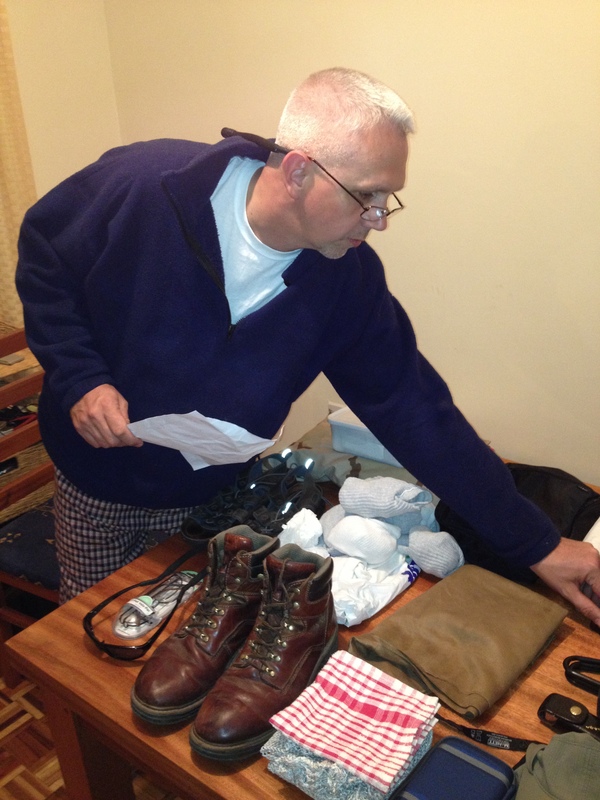 Packing to fly into South Sudan is not a simple process. Only a certain number of kilograms are allowed on the flight per person. All those military travels served him well. Mark went into “deployment” packing mode, laid out all his gear, and made use of every kilo. He even managed to get in some juice and prunes for one of our littlest MKs in Doro. Mark will be in Doro, South Sudan until July 11th. Please keep him in your prayers and also the rest of us here in Nairobi!